Learn what happens when a complaint gets filed with the Texas Board of Nursing and the investigation, disciplinary and settlement process. 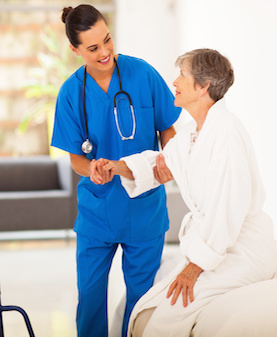 Consult a Texas nurse lawyer today. 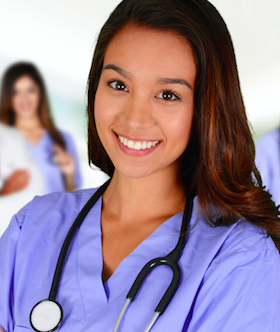 Are you facing allegations against you that may threaten your nursing license? Contact Yong J. An as soon as possible to ensure you take the right steps and precautions to protect your rights and your nursing license. See what types of nursing license defense cases we have successfully handled in the State of Texas. 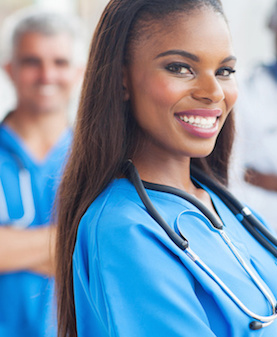 Contact us directly to speak to a Texas nurse lawyer today. I would like to take this opportunity to thank Attorney Yong for helping me with my problems regarding my professional nursing license. There was an unfortunate event involving my license because it was placed on probation in another state. Things became more complicated when the Texas BON created stricter conditions and requirements for my practice. However, because of Yong, I was able to only ordered to attend a remedial class. There were no fines, penalties and other adverse orders. He was a genuinely nice man. At that time, I was sick so I did not have a chance to earn something to pay him. Instead of bombarding me with messages, he waited ‘til I was able to get back on track. He and his team of professionals are compassionate and amazing! He is the man! Attorney Yong is the type of lawyer who always goes an extra mile for his client. When I worked in a hospital, I committed some errors in documenting certain data or information. Because of this, my employer sent a report to the Texas BON. During that time, I felt so afraid. It was stressful for me because I thought that my license would be suspended or revoked. However, my problems vanished when Mr. Yong entered the scene. I found him online because many people were talking about him. Well, it turned out that he is really an amazing lawyer! No wonder many people left positive comments and high ratings for him. He is really an expert when it comes to defending nursing licenses. He helped me in winning the case. This attorney deserves a five-star rating from me! I love how he handled my case. He understood that nursing is my passion. Unfortunately, I got myself involved in compromising situations because I signed certain documents from the BON without knowing the possible implications. When these problems arose, I immediately called the Law Office of Yong J. An. Guess what? Attorney Yong did a great job in clearing my charges. If you had a similar problem as mine, do not hesitate to get in touch with Attorney Yong. He is an expert in the field of low. He will take care of your license! Thank you Yong! I needed a lawyer for my case back then. Because of this, I went online to find who can be the best representative for my case before the BON. I came across the site of the Law Firm of Yong J. An. I was able to read several reviews about him. Many people were claiming that he is an excellent nursing defense lawyer. For this reason, I immediately called him. It was such a great opportunity for me to meet this lawyer because he handled my case with dedication and expertise. He charged a reasonable fee and even gave me a great payment plan. His efforts led to the dismissal of my case. I have to say that Yong did a great thing for me! I will forever be grateful for all his help. I’m just so glad that he was the first lawyer I found online. HE EXCEEDED MY EXPECTATIONS. Truly the best! Attorney Yong was my legal representative for a case filed before the Texas Board of Nursing. It was such a relief to know that I hired the right counsel. He was very supportive in everything! I felt that he really cared for his client. His primary concern is not the money that he would earn but the help that he could offer. Because of his expertise in nursing defense, he managed to help me obtain reduced restrictions from the Board. I will recommend him to everyone! 100% Amazing. 100% Outstanding. 100% Satisfying! I searched for a Texas lawyer who is good in handling nursing defense cases. During my research, I came across the website of Mr. Yong. I read positive comments from his previous clients, which made me become more interested in what he does. Because of this, I tried to send a message via the website. What made me really happy was the fact that a member of his team responded right away! He was so nice to me. I wish there won’t come a time that I would require the services of a lawyer. But right now, I have to say that I will recommend his firm to those who are in need! I highly recommend Yong for all your legal needs. I hired Mr. Yong to be my counsel for the proceedings before the BON. I had a non-disclosed misdemeanor charge. During the time when he was my attorney, he made me feel that he can be trusted. Whenever I need to talk to him, all I need to do is to call him. It felt great to know that he valued me as a client because he has always made himself available whenever I needed to discuss my case. He is such an amazing lawyer in Texas! The best nursing defense attorney in Texas. The outcome for the case was so great! My case involved an investigation ordered by the Texas Board of Nursing due to my failure to join a program from TPAPN. To be honest, I thought that my case was on the losing end but Mr. Yong had his own way of turning things around. He represented me in all the hearings before the Board. It felt good to know that someone like him stayed with me through all my ups and downs involving my case. He updated me on what’s going on with my case. In just 12 months, the BON resolved the issue in my favor. I have to say that without Yong, my nursing license could have been revoked. He saved me from suffering an unfortunate event! I am grateful for his services. If you are looking for a nursing lawyer in Texas, make sure to hire him. When I received a notice about a pending case before the Board, I was devastated. It was a difficult time in my life. I almost gave up but Mr. Yong helped me in moving forward. He was realistic about all the proceedings that we have to go through in order to defend my license. He also laid down the possible outcomes for my case. These acts helped me a lot in understanding my situation. He eventually got my case dismissed and for that reason, I will forever be grateful. Thank you, Attorney Yong. I consider Yong as the biggest blessing in my life for this year. While I was practicing as a professional nurse in Texas, I received an order from the BON limiting my practice. This was problematic for me since I wanted to continue working for my employer. Yong was the one who wrote a reply letter to the Board and explained my innocence. He made all the necessary arrangements, which led to the issuance of an order in my favor. I couldn’t thank him enough for everything he did for me. HIGHLY RECOMMENDED! He is so nice and great!!! Yong is such an amazing lawyer. I like how excellent he is in his profession. I have to say that choosing him, as my counsel was one of the best decisions I made. He was fast in dealing with my legal problems. He knows exactly what to do! He immediately contacted the Board of Nursing to discuss my situation. He handled my case as an expert in the field of law! I am so happy with his services. Amazing!